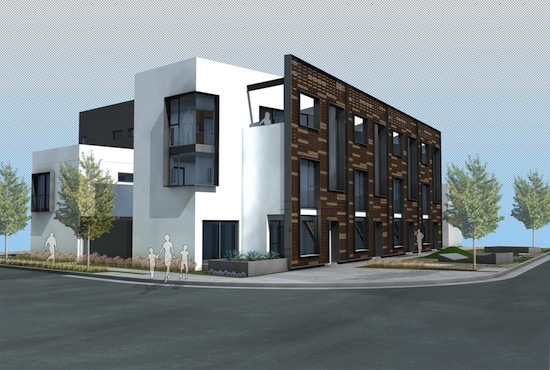 This project proposes four live/work duplexes, each on its own separate lot fronting the busy commercial Venice Boulevard commercial corridor. 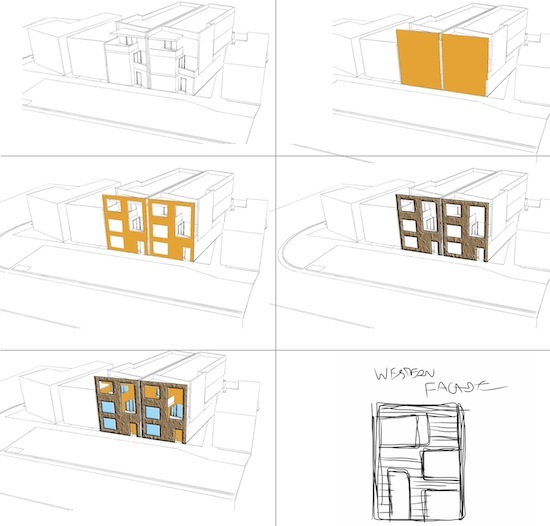 Each duplex contains a two-level work space fronting the street with a two bedroom apartment on the third level. All parking is in private garages accessed from the alley behind. Each of the four buildings also contains a live/work studio apartment. 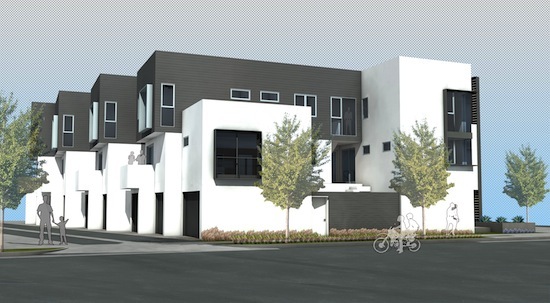 This project is the reincarnation of the Venice Boulevard Urban Dwellings, which was placed on hold when the recession hit. Take public transportation (Metro Bus Lines, Exposition Light Rail Line). The facade along Venice Boulevard takes its inspiration from old western facades that were often built higher and more prominent than the the building behind. 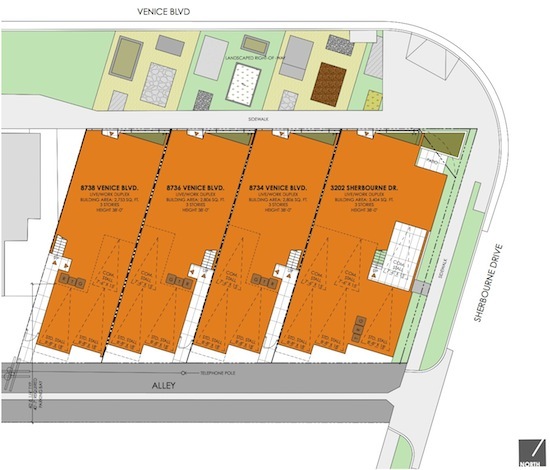 This strategy is used here to give more height to the buildings and create a better scale (height to width ratio) along a very wide Venice Boulevard. The facade has enough detail to create a better pedestrian experience along the street, while also being simple enough to be understood while driving by at 45 miles per hour.